With Dr. Gruhlkey, you’ll learn how to administer and interpret allergy tests using a variety of applicators. The CME course for allergy testing will also cover when it’s appropriate to carry out immunotherapy programs. All of these topics will be taught through active, hands-on application. The course will also touch on rhino-sinusitis and its relationship to asthma. Once the course is complete, you’ll understand the importance of doing cost-effective screening before testing and what steps to take once allergens have been identified. Allergy season is about to reach full swing! Will you and your practice be ready to cater to your patients? 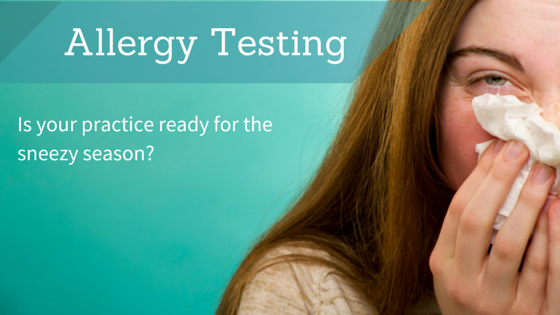 Join us in Las Vegas and learn more about allergy testing! 1. Lotus of Siam – This Thai food establishment is void of frills but chock full of delicious flavor and features a courteous wait staff. Located on the east side of Vegas, Lotus of Siam has become a popular stopping point for locals and visiting foodies alike with its Northern Thai cuisine full of fresh ingredients and bright colors. To add some icing on the cake, the prices at Lotus of Siam are incredibly modest. You’ve got to try it! 2. Market Street Café – Open 24 hours, the Market Street Café inside of the California Hotel & Casino features an array of dishes with Hawaiian flair. People rave about their oxtail soup and Hawaiian staples like island curry stew and saimin noodle soup. This place is a great option for eating on a budget. 3. Veggie House – This spot has been rated as one of the best vegan/vegetarian restaurants in town. Not only do the chefs offer plenty of options for those who don’t eat meat, they’ve found creative and delicious ways to bring traditionally meat-based dishes onto the menu. At Veggie House, you’ll find a unique take on General Tso’s chicken and Cajun shrimp, just to name a few! 4. Texas de Brazil – This place is a must if you consider yourself a carnivore. You’ll enjoy continuous tableside service as servers come by with all sorts of meats and carve them right off the spit and onto your plate. People have said the atmosphere here is a bit more upscale without being snooty, so it’s the perfect spot to take a colleague and network while still feeling relaxed. Reserve a table and try them out today! 5. I Love Sushi – You don’t have to absolutely love sushi to eat at I Love Sushi, but it doesn’t hurt to have an open mind. The skilled chefs at this joint like to get a little inventive with the ingredients in their rolls. Don’t worry, you’ll be able to find all the sushi staples here, but if you want to go out on a bit of a limb then this is the place to do it! Locals say it’s affordable and offers great service. Menus are available on Yelp and TripAdvisor. 6. 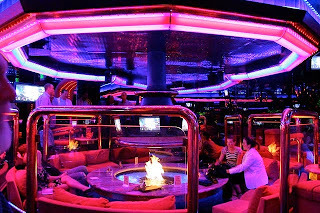 The Peppermill Restaurant & Fireside Lounge – Open 24 hours, The Peppermill Restaurant & Fireside Lounge is a Vegas institution, having been on The Strip for 40 years. You'll find huge portions, a full bar and even a fire pit to catch up with your friends after a successful night at the tables. The menu is full of diner staples and omelets made with 10 eggs. Bring your appetite! 7. Mastro’s Ocean Club – Mastro’s is a great place to go with your significant other. Just don’t let the fact that it’s located in a mall deter you! Mastro’s Ocean Club has a full range of delicious and fresh seafood options for you to choose from, and you can even build your own platter. The restaurant includes daily live entertainment with an elegant, classy and cozy atmosphere. The perfect date night! 8. Tacos el Gordo – This is the place to go if you’re looking for some authentic Mexican food while you’re in town. Fresh, expertly prepared meat is cooked on vertical rotisseries to keep the meat moist and delicious, and fresh tortillas and toppings pull the tacos together for an unforgettable experience. Tacos el Gordo is a great place to get a quick meal that doesn’t cut corners! Feel like staying in? 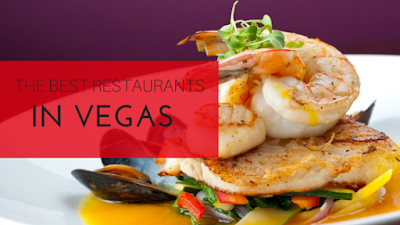 See what restaurants our host hotel, Planet Hollywood Resort & Casino, has to offer! Where you do plan on grabbing a bite to eat while you’re with us in Las Vegas for our CME conference? Sound off in the comments below! The job market for physician assistants has been growing steadily over the past few years, and 2015 will be no different! From increased average salaries to more and more opportunities for specialization, the PA career path is experiencing a boom right now. Check out this handy infographic we put together with some physician assistant statistics if you're debating what medical field to focus on for your education or your career! When all of your courses and networking are finished for the day, it’s time to check out some of the nightlife that Las Vegas has become so famous for! From iconic casinos like Caesars Palace and the MGM Grand to new hotspots popping up year round, Las Vegas has nightlife attractions that will suit anyone’s tastes. 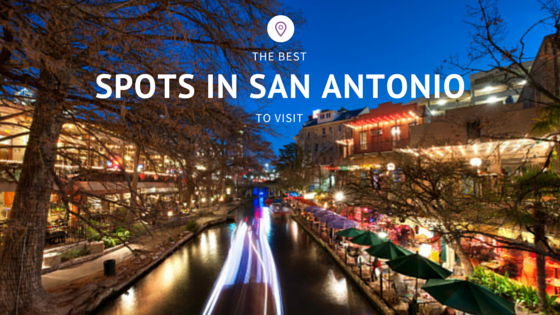 In no particular order, here are a few we recommend you visit while you’re in town. Marquee at The Cosmopolitan has plenty of space, big dance floors, an outdoor pool area and several different rooms so you can find a spot that fits your party style. It’s a great spot for catching a DJ spinning records in a club-like atmosphere and a great place to dance and let loose. It can get a little crowded, so plan ahead and build in some time to make your way through the lines! Beacher’s Madhouse at The MGM Grand is a great option for a variety show with plenty of low-brow humor. You’re also bound to find plenty of celebrity impersonators to take your picture with while you and your friends are out having a good time. Don’t come to Beacher’s with any preconceived notions of what you’re going to see; the shows are funny, unique and sometimes completely spontaneous! The eye-catching fountains outside of Caesars Palace. If you intend to gamble while you’re in town, you have to visit the granddaddy of all casinos, Caesars Palace. 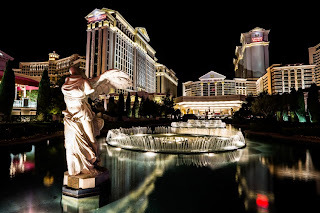 The hotel and casino features the largest variety of games available in Las Vegas with arguably the best service in town and an unforgettable ancient Roman setting. Aside from traditional table games, you can enjoy a spacious and comfortable sports book for racing bets. Ready for a little nightlife? Head over to the casino’s Omnia nightclub for great DJ acts in a beautiful and timeless venue, or catch famous comics and musicians in concert like Mariah Carey, Rod Stewart, Jerry Seinfeld and more. 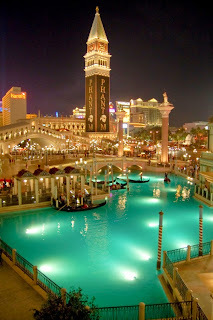 The Venetian offers visitors a glimpse into Venice life with its beautiful European architecture and waterways. Sights aside, the casino offers over 230 table game spots covering mainstay games like blackjack and roulette as well as novelty games. Check out the beautiful pool deck with its pristine columns and pool tiling, or dine on cuisine created by famous, world-renowned chefs like Emeril Lagasse and Wolfgang Puck. Feeling up for some dancing? Head over to the casino’s TAO night club, which features specialty rooms playing varieties of music and even the Snoopadelic Cabaret, a hip-hop version of a 1920s speakeasy designed by rapper Snoop Lion! 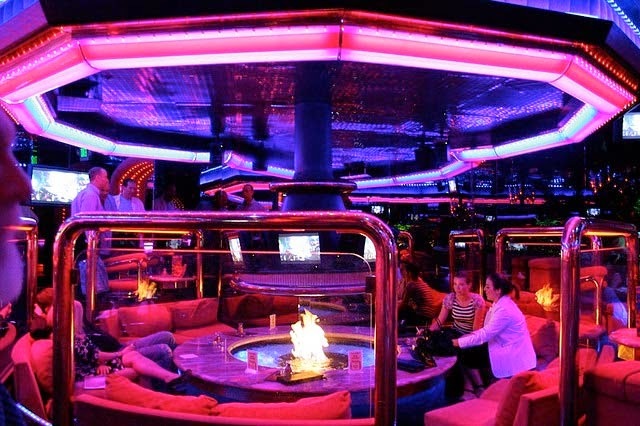 If you’re on a bit of a budget, try the 1OAK club at The Mirage. The space feels like an extravagant movie theater due to its main room seating that slopes gradually downward towards the dance floor in the middle. The seats are large, plush and comfortable for you and all of your guests. On Friday nights, it has Flashback Friday events with musical acts you might remember from decades past! If you’re short on cash, experience a piece of Las Vegas history by checking out El Cortez. The longest-running casino in town, El Cortez features cheap blackjack, craps, keno, poker and more so you can try your lucky hand without burning a hole in your wallet. It even features coin-operated slot machines, which are becoming a dying breed in Sin City. Don’t feel like bothering with the commute to another casino or club? Head out of the conference center and down one floor to the casino at Planet Hollywood where you will find a full selection of gaming stations for popular table games! You’ll see headlining acts like ventriloquist Jeff Dunham and excellent cuisine offered at a variety of restaurants. Stop in for a relaxing treatment at the spa, soak up the sun at the pool, or partake in some glamorous shopping at the Miracle Mile Shops. What are some of your favorite nightlife spots in Las Vegas? Let us know in the comments below! 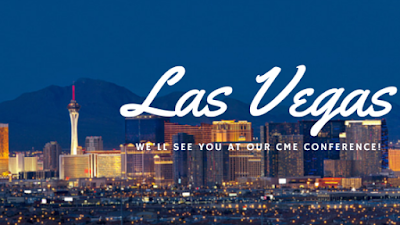 From June 26 – 29, we’ll call Las Vegas home as we host our 2015 Las Vegas CME conference. Much like we did when we covered our San Diego conference, we’ll be building out a comprehensive series of blogs to inform you on the details of our Vegas CME conference as well as fun attractions and eateries in Las Vegas. Come back to this post over the coming days to find out more about how you can turn your Las Vegas CME trip into a business trip and a vacation! We’ll set up shop at Planet Hollywood Resort and Casino, right in the heart of the Las Vegas Strip! From our hotel, you can walk or take short rides on public transportation to some of the most luxurious casinos and venues in the city. Before we get into all of the great things Vegas has to offer, here’s a review of the professional opportunities we have in store for you during the conference. Aesthetic Procedures will be offered from June 26 – 27 and instructed by Dr. Paul A. Fox. You’ll go over topics like cosmetic evaluation, familiarization with lasers and how to operate them, facial peels, Botox and more. You can receive up to 151 15 AMA PRA Category 1 credits™ and AAFP Prescribed Credits! Allergy Testing and Immunotherapy for Primary Care Physicians will be offered as a one-day course on June 26, taught by Dr. Jay. L. Gruhlkey. This course is a fantastic option for any primary care physician who wishes to learn how to administer and interpret allergy tests. You’ll discuss clinical factors regarding allergic, non-allergic and mixed rhino-sinusitis as well as the evaluation and treatment of these disorders through hands-on, active participation. You can earn up to 8 AMA PRA Category 1 credits™ and AAFP Prescribed Credits. Medical Billing, Coding and Documentation with Joan Gilhooly from June 28 – 29 will cover everything you need to know from a billing standpoint and touch on CPT codes and ICD-10 coding prior to the transition happening a short five months from now, making this a perfect time to get more prepared for the new coding set. The CME course will cover benefits, coverage policies, changes in coding usage, audits and much more. Earn up to 11.75 AMA PRA Category 1 credits™ and AAFP Prescribed Credits. Dermatologic Procedures with Dr. James W. McNabb from June 27 – 28 covers all things dermatological, from skin lesions and biopsies to cryosurgery, electrosurgery and dermoscopy. Up to 15 AMA PRA Category 1 credits™ and AAFP Prescribed Credits can be earned through this dermatology CME course. ECG Interpretation with Dr. Russell D. White from June 27 – 28 will help you compute mathematical evaluations for rates, interval lengths and QRS vectors as well as help you identify and analyze cardiac abnormalities and develop appropriate treatment plans. Earn up to 11.75 AMA PRA Category 1 credits™ and AAFP Prescribed Credits through this CME course! Hospitalist Procedures will be taught from June 27 – 28 with K. Ashok Kumar, MD. Topics discussed will cover a wide range of inpatient care procedures like sedation, lumbar puncture, ultrasounds, airway placement and much more with the goal of preventing and managing potential complications of these procedures. You can earn up to 16 AMA PRA Category 1 credits™ and AAFP Prescribed Credits through our hospitalist procedures CME course. Joint Exam and Injections will be covered from June 27 – 28 with Dr. B. Kent Diduch and will discuss joint anatomy and function, imaging techniques for evaluation, clinical testing, exam techniques and joint aspirations and injections. With arthritis and chronic joint pain becoming a prominent problem for an aging population, now is the perfect time to bring your practice up to speed on joint exams and injections and earn up to 16 AMA PRA Category 1 credits™ and AAFP Prescribed Credits in the process. X-Ray Interpretation will be taught as a one-day course on June 26 with Dr. Mark Needham. The course will cover viewing x-rays in standard sequence to improve diagnostic accuracy, recognizing abnormalities and improved cross-sectional imaging interpretation. Sign up and earn up to 8 AMA PRA Category 1 credits™ and AAFP Prescribed Credits from our x-ray interpretation CME course! If you register for our Las Vegas CME conference by May 27, we’ll take $100 off your registration fees if you use the code EBJUN at checkout! Register for two or more of our courses and take an additional $200 off your registration fees with code LVNV2 at checkout! As for Las Vegas itself, there are some great things to see and do while you’re in town! Planet Hollywood itself has an abundance of amenities, including wave pools to practice your surfing, a spa for massages, facials and other treatments after a long day of instruction and networking, a plethora of shops, restaurants and entertainment options and much more. 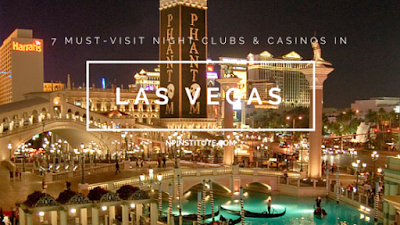 Looking to explore Las Vegas a little more? The city is known for its nightlife and casinos as well as its wide range of world-class restaurants. Below are just a few you can sample. For a classic gaming experience, head on over to the MGM Grand. The MGM is one of the most iconic casinos in Las Vegas, with more than 170,000 square feet of gaming space for every type of game under the sun. Catch a sporting event in the building’s famous sports arena or take in one of the few remaining Sigma derby machines in Las Vegas and bet on electronic horse racing. For a breathtaking look at the Las Vegas skyline, the Voodoo Rooftop Nightclub can’t be beat. It sits 51 stories above the ground with a full range of drink and food options for you and your friends. Voodoo’s amazing views and comfortable setting will put you in a party mood in no time. If you want a dining experience with style and sophistication, book yourself a table at Vic & Anthony’s Steakhouse in downtown Las Vegas. Regularly rated as one of the best dining experiences in the city, Vic & Anthony’s features an award-winning menu and a classy atmosphere that’s perfect for networking with business partners. What are some spots you intend to visit while you’re in Las Vegas next month with us? Let us know in the comment section below! From June 6 – 7, we’re hosting a short, one-class CME conference in San Antonio. That leaves ample time to explore the city on a quick trip! Below are some spots we recommend you check out while you’re in town. The River Walk – Of course we’d start out our list with The River Walk. Winding through the heart of downtown, the The River Walk is lined with plenty of restaurant and bar options. At night, thousands of strings of lights illuminate the water, making it a unique and romantic spot to take a date. Plenty of festivals will feature boats floating down the river, and the San Antonio Spurs even celebrated their NBA championships with a floating parade down the water! The Majestic Theatre – You can catch any kind of show at The Majestic. From comedians to musicals and concerts, the Majestic offers it all in a great location downtown close to restaurants and bars. The venue is small and cozy, making for an intimate and memorable experience, and the building’s 1920s interior has been kept in perfect condition. 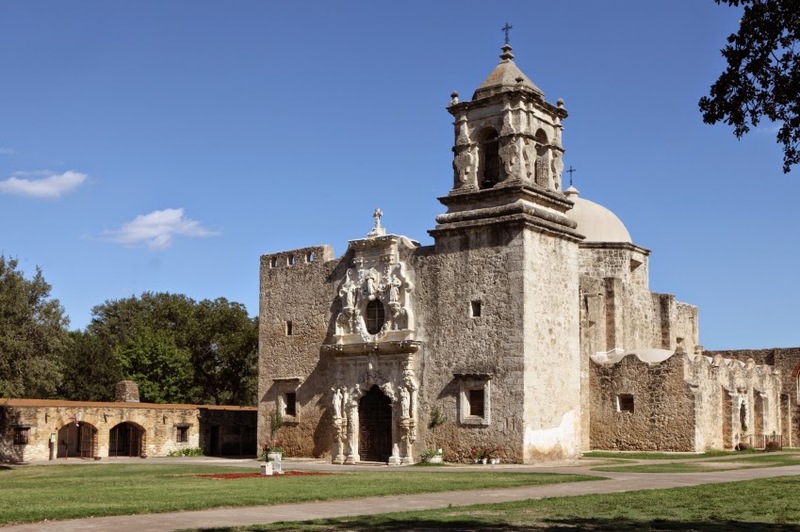 San Antonio Missions – The area is home to a collection of beautiful Spanish missions, and the San Antonio Missions National Historical Park includes a walking trail featuring five missions. Learn about some of the earliest Spanish colonization and take in the beautiful architecture of the buildings. The city has more than just The Alamo, so visit them all! Natural Bridge Caverns – If you love caves and geology, you can’t miss Natural Bridge Caverns. Guided tours last over an hour and give you plenty of time to explore the winding and rocky paths of the caverns. Just be sure to wear good shoes for walking and go into a tour knowing you’ll get hit with a few water droplets from time to time! San Antonio Botanical Gardens – Spring and summer are perfect times to visit the city’s colorful and vibrant botanical gardens. The layout is easy to follow and the flora represents all sorts of flowers and trees that call Texas home. It’s the perfect spot to enjoy a little piece and quiet after a long day. Six Flags Fiesta Texas – Bring the family out for some fun and adventure at Six Flags Fiesta Texas! There are plenty of rides for young ones, adrenaline junkies, and water park enthusiasts. Grab lunch at one of the parks several restaurants with a variety of domestic and international cuisine, or do a little shopping for Texas souvenirs to take back home! What places do you plan to visit when you’re in town for our San Antonio CME conference? Let us know in the comments below!